Larry J. Merlo has a few words he uses a lot lately. One of them is “innovation.” The other is “reinventing.” And the two, he explains, are closely aligned with CVS Caremark’s diversity management strategy. To understand how is to appreciate just how much the business has changed in the last several years. Here’s the short version: After a merger of equals in 2007, the retail pharmacy chain and the prescription benefits management business combined to form an entirely new kind of health care company. There were critics who said the marriage was ill advised. Others even went so far as to speculate that the company would eventually break up. But none of that happened. In fact, the “pharmacy innovation company” is thriving. Merlo believes the new company’s success is attributable to its commitment to serving communities, rather than markets, and to a diverse workforce capable of turning extreme change into unquestionable success. To demonstrate CVS Caremark’s commitment to health care, earlier this year Merlo announced that the company’s 7,600 CVS/pharmacy locations would stop selling cigarettes and tobacco products by October 1, 2014. Merlo said the move was “the right thing to do,” considering the company’s expanding role in the health care landscape. Merlo points to the company’s intranet, which is more a community than a run-of-the-mill corporate web portal. Called MyLife, the site features corporate news, but also allows employees to comment on every post, even if some comments tends to be critical in nature. purpose in 2012 (They’re “helping people on their path to better health.”). A diverse corporate culture, so goes the theory, is less wed to the status quo and more willing, able, and committed to exploring change. 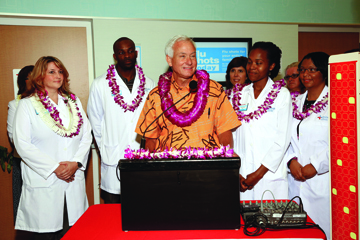 Hawaiian dignitaries joined officials from CVS Caremark to celebrate the opening of the first of seven MinuteClinic locations to open inside select Longs Drugs stores on Oahu in 2013. 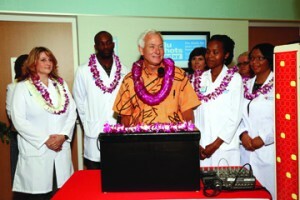 The grand opening event included a traditional maile lei untying and a blessing ceremony. Casey tells a story about CVS/pharmacy’s 2008 acquisition of Longs Drugs in Hawaii. At the time, employees of the chain wore Hawaiian shirts, and there was reflection back at headquarters in Rhode Island as to whether store employees on the islands would adopt the chain’s standard uniform or continue to wear the brightly colored cultural icon. Merlo, who was president of CVS/pharmacy at the time, allowed the shirts to remain a fixture of the newly acquired chain. 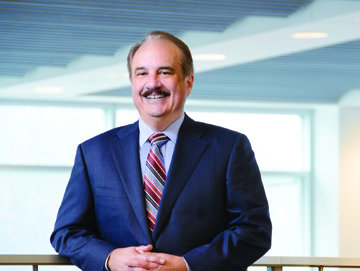 Under Merlo, who became CEO in March of 2011, the emphasis on the importance of diversity has continued to increase. Diversity is emphasized during new-employee training and in subsequent class offerings. The company also has 12 national Colleague Resource Groups (CRGs) with over 40 chapters, including those founded by professional women, Latinos, African Americans, Asian Americans, veterans, LGBT employees, and, most recently, by millennials. The value the company places on these groups is perhaps underscored by a recent decision to have all CRGs sponsored at the senior executive level. In fact, Merlo is the sponsor of one of the company’s most active CRGs, the Women’s Success Network, which boasts more than 1,200 members nationwide. It seems that decision is in alignment with Merlo’s chairmanship of the Diversity Management Executive steering committee, which ensures high-level oversight of the company’s Diversity Management Leadership Council. The Council is made up of senior leaders throughout the company who are charged with ensuring that CVS Caremark is not only embracing diversity internally, but also serving multicultural communities and customers, and developing a multicultural supply chain. By all accounts, that structure seems to be bearing fruit in terms of the company’s offerings. There are the quiet but significant changes, like the CVS.com webpage being launched in Spanish, or the ever-increasing list of multicultural products being rolled out in CVS/pharmacy stores across the country, including the launch of Latina icon Salma Hayek’s beauty line. Or the growing participation in the Veteran’s Advantage discount program. 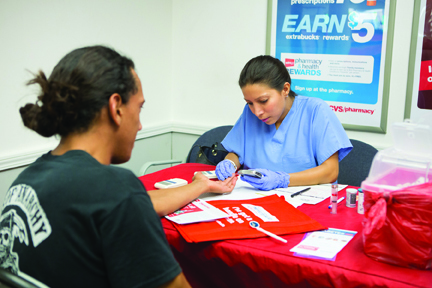 Hundreds of Project Health events were held in multicultural communities across the country in 2013, including this one in Miami, Florida. Project Health events offer customers a free, comprehensive health risk assessment, including blood pressure, body mass index (BMI), glucose, and total cholesterol screenings. And then there is Project Health, a program aimed at providing millions of dollars of free health services and health insurance information to multicultural communities in major US cities, such as Miami, Los Angeles, and Washington, DC. The program, which encourages preventive health care in multicultural communities, screened more than 100,000 people in 2013 alone. Project Health attracted the attention of local and state lawmakers last fall. 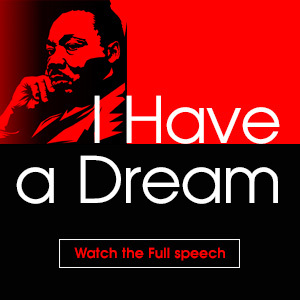 In fact, many visited the Project Health events in recognition of the health disparities that significantly and disproportionately impact diverse populations—and to acknowledge the vital role CVS Caremark is playing to help their communities. While CVS Caremark has worked diligently to define and implement its diversity management strategy in recent years, there is still more work to be done. 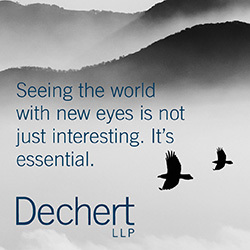 The company is committed to enhancing and evolving its approach to managing diversity—both internally and externally—to meet the ever-changing needs of its colleagues, clients, and communities.